One of the many things that makes Korean skincare stand out from Western skincare is in the sampling culture. Even if you order from a little Korean shop on eBay, they’re still throwing samples at you like there’s no tomorrow. Not so in the West, where brands are way more cautious about dishing out the freebies. But there is a way to get free beauty samples relatively easily, and it’s thanks to the Pick ‘n Mix service from FeelUnique. That £3.95 will be refunded to you once your order has shipped – you’ll receive a code via email to use against a future order. So really it makes most sense to use the service when you are planning to make another order anyway. There are currently over 400 samples to choose from. You can narrow down your search by brand and product type. You can also narrow down your search by sample type, so for example you could choose to eliminate all the foil samples, because really, what use is 2ml of anything? All the sample sizes are noted, and they vary quite a lot. Some are only 1ml, whereas the tube of gradual tan I ordered is, as you can see above, a very generous 50ml. Elizabeth Arden Prevage City Smart Sample 5ml – I already have the full size of this, and LOVE it. It’s a lovely, lightweight 50SPF face protectant. The sample will be handy for travelling. Offering a sample of this to try before you buy is a great idea because the full size is £55. 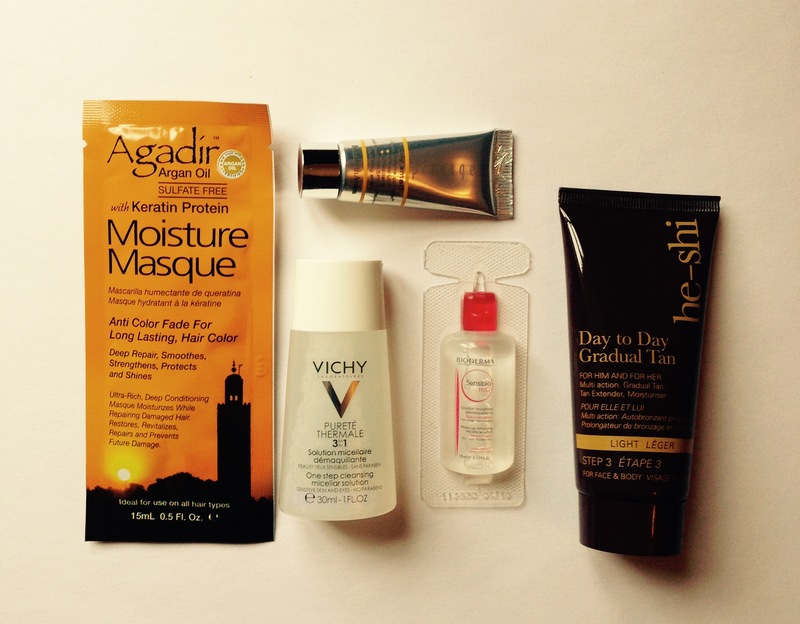 Agadir Argan Oil Moisture Masque Sample 15ml – You can’t go wrong with a hair mask, can you? 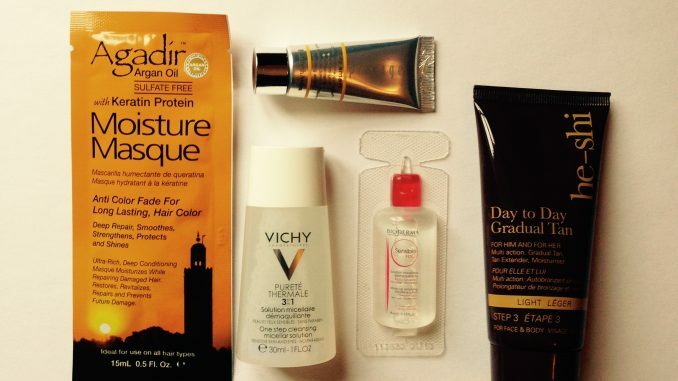 Vichy Purete Thermale 3-In-1 Calming Cleansing Micellar Solution Sample 30ml – A decent sized sample bottle that will take me through the kind of weekend minibreak I almost never go on. BIODERMA Sensibio H2O Make-up Removing Micelle Solution Sample 10ml – I was hoping this would be a little bottle like the Vichy but it’s a little more awkward than that. It’s a good product though, a classic. So that’s my sample haul! I did have trouble using the £3.95 refund code, but a quick trot through with the FeelUnique customer service people soon sorted it out. I’ll definitely be back for more, and probably will be a bit more adventurous with my choices next time. All in all, it’s pretty good for a freebie.